Check out the Harmonica Maintenance Videos below for tips to disassemble and reassemble the Lee Oskar Harmonica. Presented by Lee Oskar. 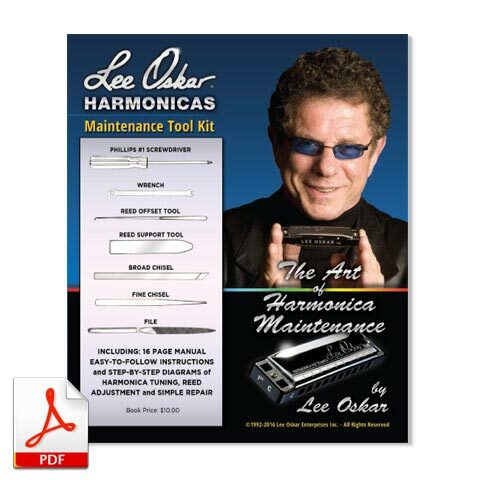 Though the Lee Oskar Harmonica Tool Kit is currently discontinued at this time, we do hope to have new Tool Kit out as soon as possible. To assist you, we have made this informative guide available for your use. Many of the steps outlined in this maintenance guide can be performed with a generic ‘rotary’ tool, files, and a Phillips #1 screwdriver with a large handle, for easy assembly, disassembly.